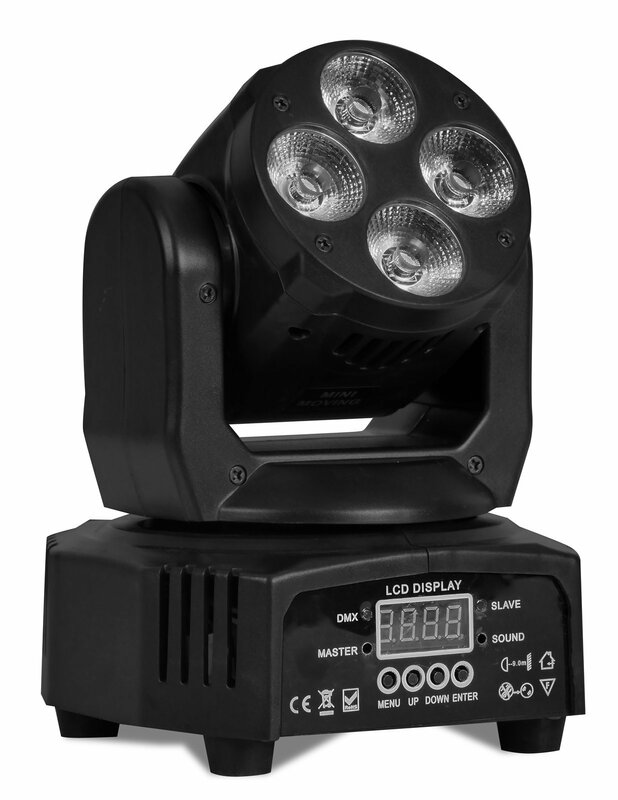 Mini wash is a miniaturised version of wash moving head, wide beam angle with four bright 10 Watt RGBW diodes. Small dimensions and weight make this fixture easy to carry and install in various places. Thanks to 4in1 diodes its easy to produce rich vibrant colours, as well as light pastel tones. This wash perfectly accompanies other moving heads and lighting effects. This fixture can work in Sound activated, Automatic and DMX control mode.